Minnesota United FC promotes responsible drinking and positive fan behavior at TCF Bank Stadium. The MNUFC Fan Code of Conduct and details of the alcohol management plan that appear below ensure that fans have a safe and fun experience. Minnesota United FC is committed to creating a safe, comfortable, and enjoyable sports and entertainment experience by promoting good sportsmanship through its athletes, coaches, and spectators. Any offensive, obscene, racist, sexist remarks or other threatening actions directed toward coaches, athletes, officials, fans, or team representatives will not be tolerated and can be grounds for immediate removal from the stadium, as well as further disciplinary action. Patrons appearing intoxicated will be denied entry to the event, and those engaging in fighting or throwing of objects will be ejected from the stadium. Patrons who choose not to adhere to these provisions may be subject to ejection without refund, revocation of season tickets, and may be in violation of city ordinances, resulting in possible arrest and prosecution. Stadium management reserves the right to change these policies and procedures at any time without warning. Any fan that shows signs of impairment and/or intoxication may not be allowed to enter or may be removed from TCF Bank Stadium and subject to arrest. No alcoholic beverages can be brought inside the stadium. Any attempt to bring alcohol inside the stadium or possession of an alcoholic beverage not purchased from TCF Bank Stadium may result in ejection. No alcoholic beverages served inside the stadium can be taken outside the Stadium. State of Minnesota law prohibits the sale of alcoholic beverages to persons under 21 years of age. All fans should be prepared to show proper identification to the concessionaire staff member. Fans providing alcoholic beverages to persons less than 21 years of age may be ejected from TCF Bank Stadium and subject to arrest. Fans possessing alcohol that do not have proper identification when requested by a concessionaire or security staff member may be ejected. A maximum of two alcoholic beverages will be sold per person per transaction. It is the responsibility of each guest to ensure that they have a safe means of transportation when leaving the facility. In 2014 and 2015, Aramark at TCF Bank Stadium received TEAM Coalition’s Championship Performance award for having 500 or more employees TEAM certified. 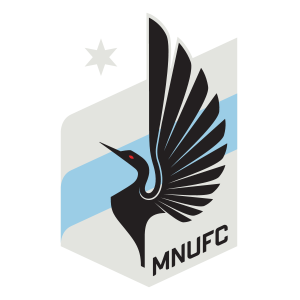 Designated drivers who make this pledge at Minnesota United FC home matches receive a free soft drink and are entered into the Major League Soccer Responsibility Has Its Rewards Sweepstakes.